Manufacturing activity contracted in February for the first time in 2½ years as domestic and export orders fell and factories cut output, a private business survey showed on Thursday. The survey also showed business confidence had soured for the first time in more than six years, highlighting the growing toll that the U.S.-China trade war is inflicting on Asia’s export-reliant economies and global manufacturing. 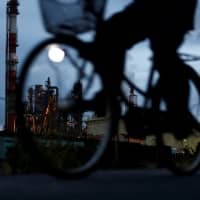 The Flash Markit/Nikkei Japan Manufacturing Purchasing Managers Index fell to a seasonally adjusted 48.5 in February from a final 50.3 in January. The index fell below the 50 threshold that separates contraction from expansion for the first time since August 2016. 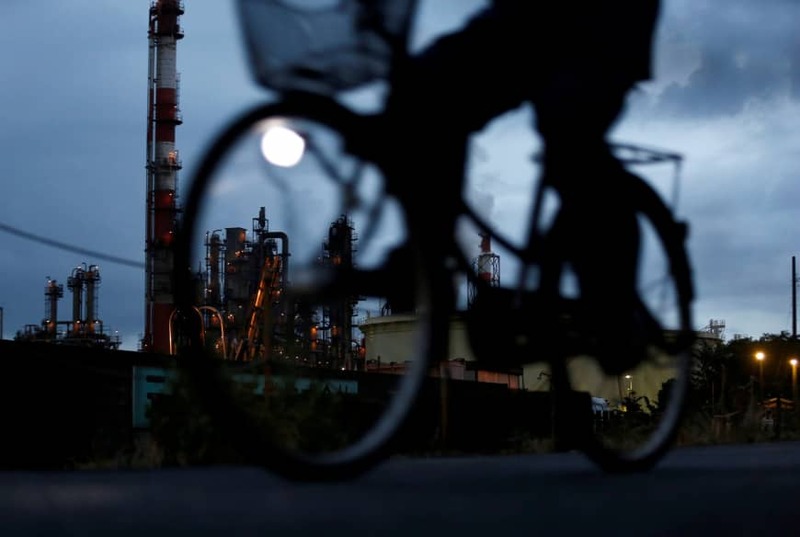 The pessimistic turn in business sentiment “comes as no surprise given the international headwinds Japanese manufacturers are facing, such as a China slowdown and the global trade cycle losing further steam,” said Joe Hayes, an economist at IHS Markit, which compiles the survey. The output component of the flash PMI index fell to a preliminary 47.0 from a final 54.4 in January, showing the fastest contraction since May 2016. Indicators of future activity were equally grim. Total new orders, both domestic and foreign, pointed to a sharper decline in demand than the previous month. Though export orders contracted at a slightly slower pace, it is unlikely to ease doubts about the outlook for overseas demand. Companies also reduced their purchases of raw materials and other inputs for the second month running. The PMI survey comes one day after government data showed exports fell the most in more than two years in January, as China-bound shipments tumbled. Global trade has slowed over the past year as Washington and Beijing ramped up tariffs on each others’ goods, disrupting supply chains worldwide. At the same time, economic activity has been weakening, noticeably in China and Europe. Japan could face further weakness if the United States and China do not quickly resolve their differences over trade, some economists say. Negotiators from both sides are racing to beat a March 1 deadline for a deal, though U.S. President Donald Trump has said that could be extended if an agreement appeared close. Japan’s economy bounced back in the fourth quarter as business and consumer spending recovered from the impact of natural disasters, but trade frictions and a proposed sales tax hike are expected to hinder growth this year.